What Sadie Did: Two more awards! Hello all! Hope you had a great weekend. The wind was SO loud last night I couldn't sleep even with earplugs in!! 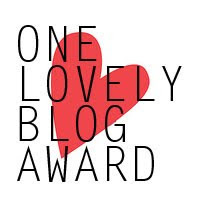 And another One Lovely Blog award from Laura at StyLAURista! 1. I learned Welsh from the ages of 12 to 14 then dropped it as a subject to continue with Spanish instead. 2. I used to be a CSI-aholic (not any more), and was pleased when I realised that I'd visited all three cities in one year - I started in Miami in June, New York in November and hit Las Vegas in April! Whoop! 3. I have TINY ears and TINY hands (sadly this does not relate to my thighs or hips!). Smaller hands than Marilyn Monroe! 4. My favourite cocktail is called Betty Knows Best and is a mix of alcohol, chi, passionfruit puree and basil...YUM. 6. I am a wee bit homesick at the moment because since being in NZ I have managed to go home 5 times in under two years. This is my longest period of non-Welsh-family-shopping-fun! 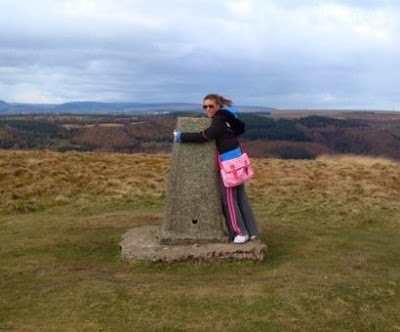 At the top of Twmbarlwm in South Wales - VERY windy! There are TWO days left to enter my giveaway! And if you love a giveaway as much as I do, check out this one at Delighted Momma! I lovvvvve Mexican cuisine too!! So awesome you went to each of the cities that CSI are based in :p super cute haha!! Thanks a lot Sadie!!! I am flattered!!!! thanks heaps Sadie and I soooo hope I win that giveaway!! I really like your blog, have been following you for a while. Do you write blog post about handbags? thanks so much for passing this award on to me! and i think it's great that you used to speak welsh and that you have tiny ears. i have the smallest ears too! please vote for me in the Style a Shape contest by clicking here and hitting the 'Like' button! Thank you so much for the award. You are SO SWEET!! As always I love finding out new things about you. It is very cool that you speak Welsh and Spanish. 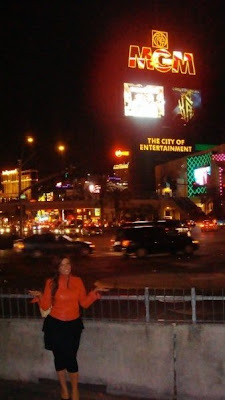 I LOVE VEGAS! Maybe because its where the hubby and I were married. haha, I love the word cwtch! So cute, and I will have to use that! Also, congratulations! You definitely deserve those awards! Congratulations on the awards, sweetie! I always love reading these type of posts because I get to know what I have in common with other bloggers, and wouldn't you know, I used to speak Welsh, too! My grandad's family is mainly in Ystradgynlais and although he was raised in Canada, he was raised speaking Welsh, and when he babysat me as a little girl, he spoke to me in Welsh. I only remember little bits of it now, of course- it's not the most practical language to know, but it's fun because the pronunciation is so different! Congratulations and thank you so much!! I feel so honored Thank you!! Thanks for the award. When I have time to make a post, I'll give you a proper thanks! Your hands ARE tiny! Thank you so much for the award, I will make time to thank you in a post but I've just not had time to make a proper post. I'm sorry that you're feeling homesick, I hope that you get to visit home more often :-). Yay for your awards!!! I loved your fact. Can you speak any welsh at all?